Episode #1037 - Who Wants to be a CoasterBoy? The classic gameshow comes to life! Will one of our listeners have what it takes? We love Game Shows here at CoasterRadio.com! This week, we're ready to unveil a brand new one.. WHO WANTS TO BE A COASTERBOY? If you remember the old "Who Wants to be a Millionaire" show, it's just like that. Except, Mike and EB will be taking the place of Regis. We'll have the lifelines, the dramatic music and questions that are so difficult, only a TRUE BLUE CoasterBoy would be able to answer them correctly. 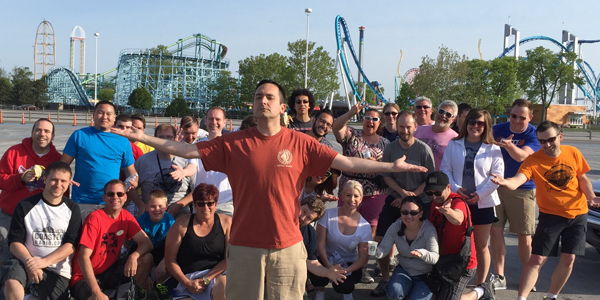 Plus, we'll interview Dan "The T-Shirt Guy" Miller, who just rode his 500th roller coaster. Find out what one it was and listen at the end of the show for messages of congratulations from all of his friends!